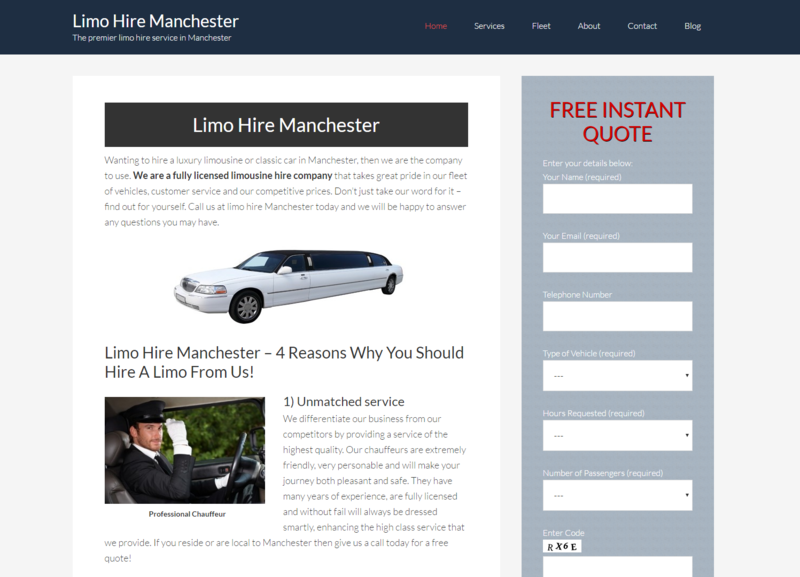 Limo Hire Manchester was a created for a local limo hire company in Manchester. 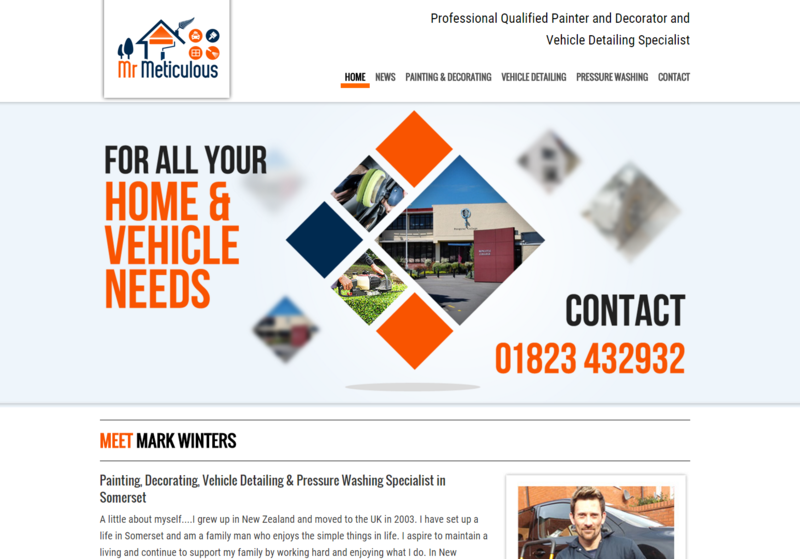 The client wanted an attractive website, but also an easy to navigate website. We decided to use a minimalist approach providing a free instant quote form on every page. The client wanted to rank for local search terms and hence the website has been optimised to rank to for such keywords. 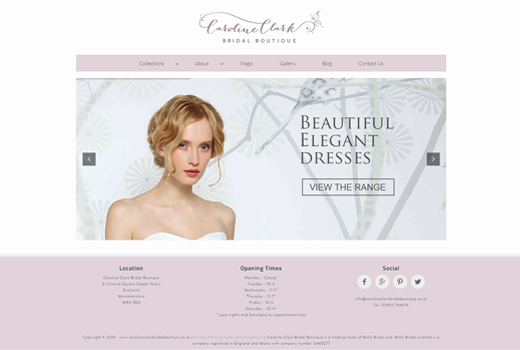 We were asked to re-design Caroline's old outdated wedding dress website into a stylish, modern, mobile friendly website. From referring to websites that Caroline liked and from much input from Caroline herself, we were able to design a site that she loved. Caroline wanted a minimalist look to the site with the prominent colours being white and grey. We included a responsive image slider on the homepage so Caroline can easily "show off" all the lastest wedding dresses. We included a collections page, where all the different wedding dresses are located, which Caroline is able to update herself. We also included a gallery page, blog page and a contact us page. We love to work closely with our clients, so they have their perfect website. We always go that extra step to make sure every client gets exactly what they want. 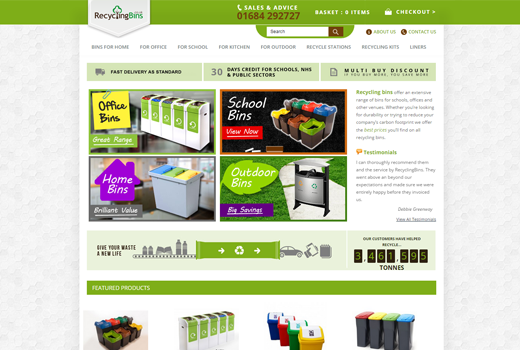 We were tasked with improving the online presence of Recyclingbins.co.uk and as part of this we recommended on page changes to increase conversion rates. Our number one consideration is always to give maximum return on investment. In terms of design one of the key things we did was to remove clutter from the homepage, anything that detracts from the buying process of an ecommerce site should be lost. We also removed the slider and replaced it with a most popular categories section. The on page changes we made have resulted in a 27% increase in click through rates on the home page, 15% reduction in bounce rates and a 19% increase in conversions. 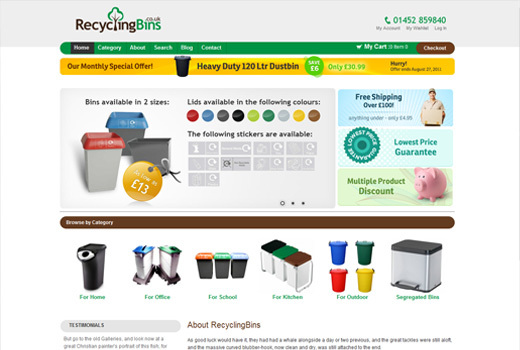 In terms of SEO we took quite a holistic approach to Recyclingbins.co.uk and used their strengths to naturally acquire linking opportunities. We have acquired premium links from the likes of the Guardian and Independent Newspaper and a lot of category specific links from environmentally friendly websites etc. We created a brand new logo, colour scheme and layout, which the client was very happy with, ultimately increasing conversions and improving their online business. We have made the website as user friendly as possible allowing customers to find and purchase items with ease and simplicity. 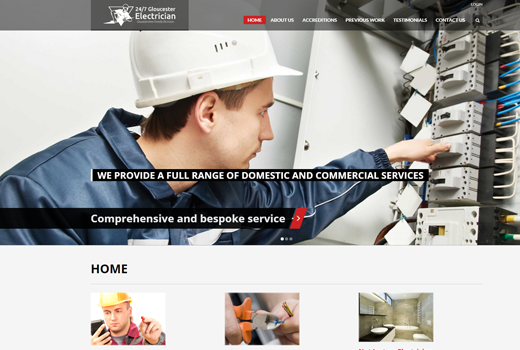 We were asked to design and create a website for a local electrician based in Gloucester. We designed a custom logo and created an easy to naviagte website, where potential customers could contact and ask for electrican services. 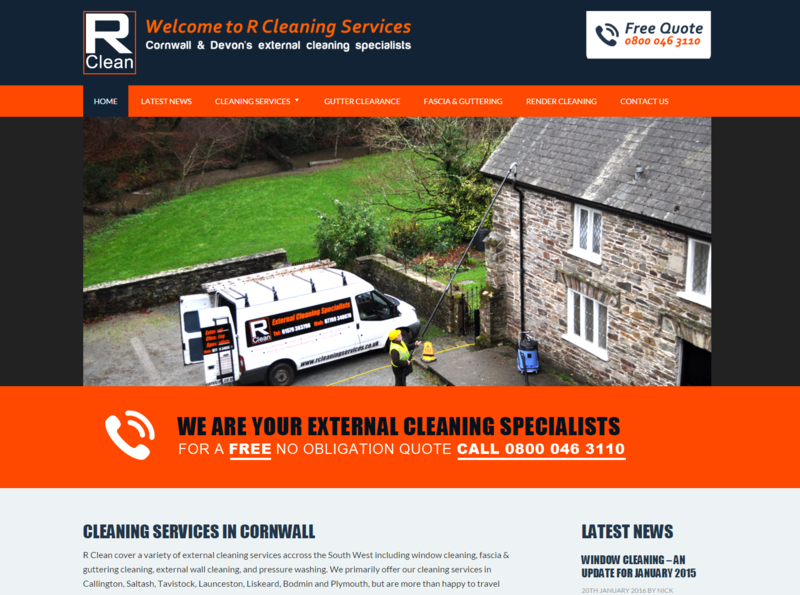 As a result of the website, the client has had an increase in customers and was very happy with the work we carried out. 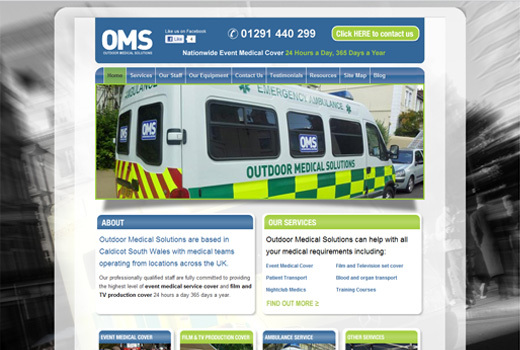 We were approached by Outdoor Medical Solutions (OMS) to do a redesign of their website. They felt their existing website was too cluttered and that it was not really obvious what service thry provided. We produced 3 concepts and the client chose the one they most preferred with a few tweaks which we implemented first. The concept chosen was based around a photo taken from a moving vehicle, which we implemented in the design as a background image. It certainly gives the website a very unique, edgy look and something with which the client was very happy. The client did not have any control over adding their own content before and although this was not a necessity we added a Content Management System (CMS) so that content could be added as and when. We built a custom blog page which can be used for all OMS related general content, this will not only help keep their visitors informed but also give extra quality, fresh content which Google loves. We have been told that the new website has already had very positive comments about the design and ease of use. 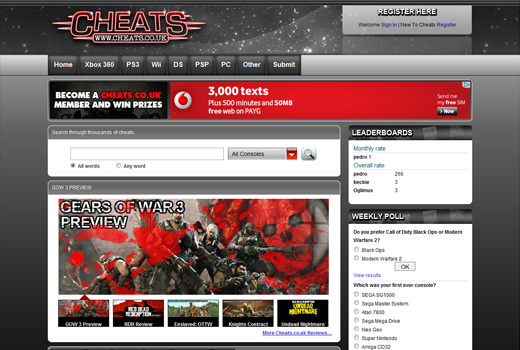 We started cheats as we always do with a design brief! Our design team straight away knew what the client was after and got going with the concepts. Their was no existing logo, so we based the logo and website theme on something similar to a Star Wars/night sky theme. The client was adamant that they wanted something which would appeal to both guy gamers and girl gamers, so we came up with the idea of a template switch. The standard template would be the black theme, but gamers would have the choice of switching to a more girly pink theme if they so wished. The existing database had so many errors you would not even believe! This took the best part of 50 hours to amend and get to a point where it was usable and new features could be added/integrated without problems. 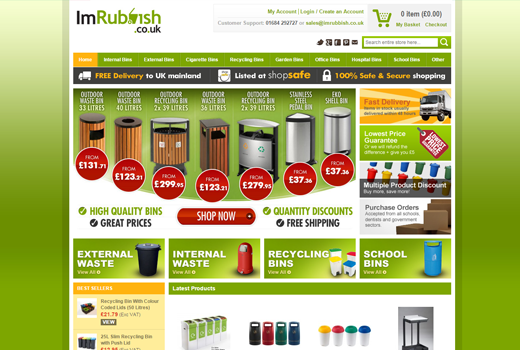 The guys at recycling bins got in touch wanting a very modern, unique, clean looking design to go with their ultra premium domain name. We love designing Ecommerce websites and were only too happy to help. They did not have an existing website or even a logo, so we had a blank canvas to work from. As we always do, we sent a design brief asking various questions which helps ensure what we deliver is on the money, not wide of the mark. We ask all clients to answer questions as fully as possible, this is crucial as it gives a good understanding of what the client is after. After going through the design spec our designer set out designing something that doesn’t resemble a “typical” ecommerce system, that’s because we like to be original and bring fresh ideas to the table as much as possible. Recycling being such a “now” word we tried to think of something that would help increase sales and offer the wow factor so we came up with a slide that shows how many litres of waste were saved from landfill last year due to sales of their recycling bins. 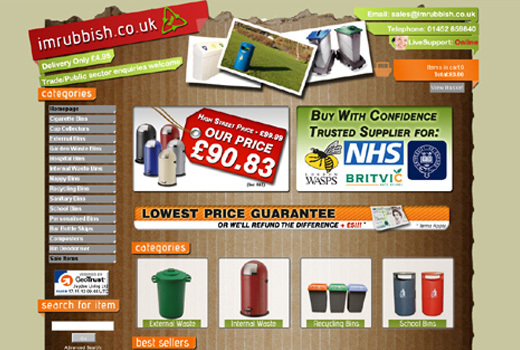 This moves the product away from just a bin and helps promote the company in an ethical way also. As with all our shopping sites, emphasis is as always on conversions and the one page checkout and clear call to action buy buttons help reduce shopping cart abandonment rates. We installed a number of additional features to our standard set which included multiple product discounts, reducing the pages of duplicate content, one page checkout etc. There are a few tweaks which we are implementing to help progress this website even further, including a number of on page SEO additions which will help push the site up the rankings.